Autism swings — also known as sensory swings or therapy swings — aren’t all the same design. In fact, they come in many shapes and sizes so you can choose a swing that suits your child’s particular sensibilities. Stretchy swings: Good for children with autism who need deep pressure or the sensation of feeling hugged. 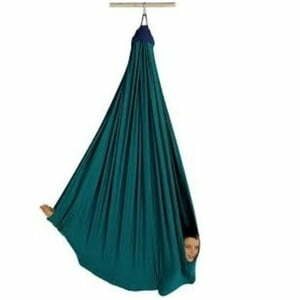 Cocooning swings: Designed for children who need to take a break from extra sensory input or who feel overstimulated. Moon swings: A favorite of occupational therapists, these swings also provide necessary vestibular input. The firm insert in this type of swing allows for different activities, such as standing, kneeling or sitting. Platform swings: Another top choice of therapists, platform autism swings are excellent for working on postural control and balance.